Add your logo with a printed accessory! Add your logo with a printed accessory! Take a walk on the wild side with Beachy the Pelican! 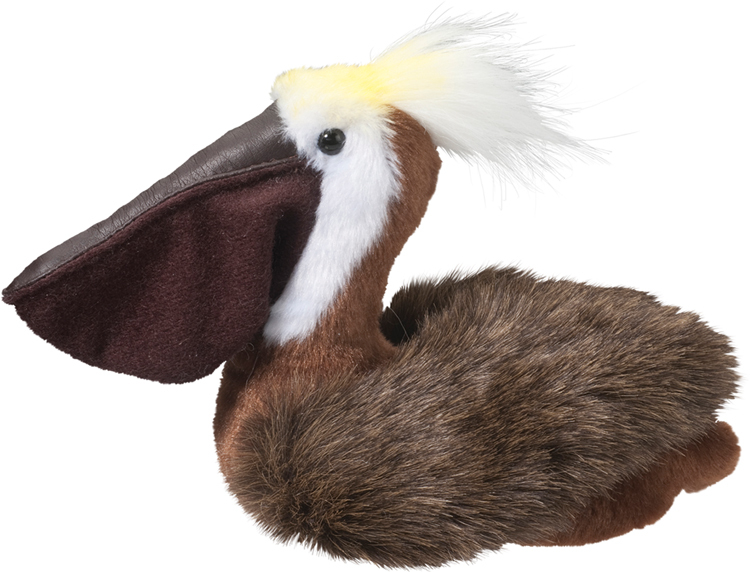 Exquisitely crafted from a variety of the highest quality materials and the softest plush, this stuffed animal features a long white tuft on his head and a realistic floppy neck pouch and beak. Make it stand out by simply adding your company's logo before handing it out at tradeshows, conventions and any other promotional opportunities. Steal the show from the competition by investing in this bird! Add your logo with a printed accessory! Have them wagging for more with this stuffed husky! 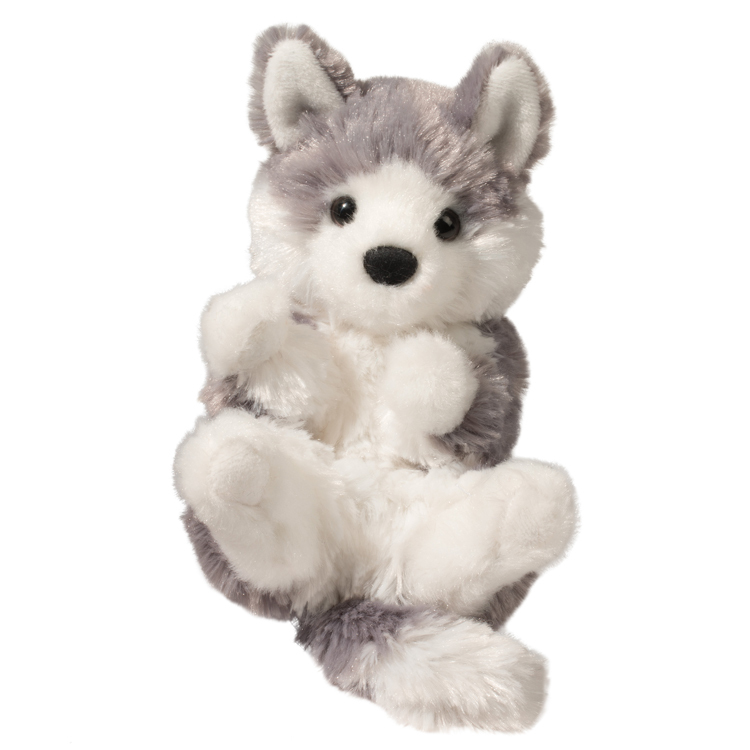 Joli the stuffed husky features classic grey and white coloring as well as attention to detail. 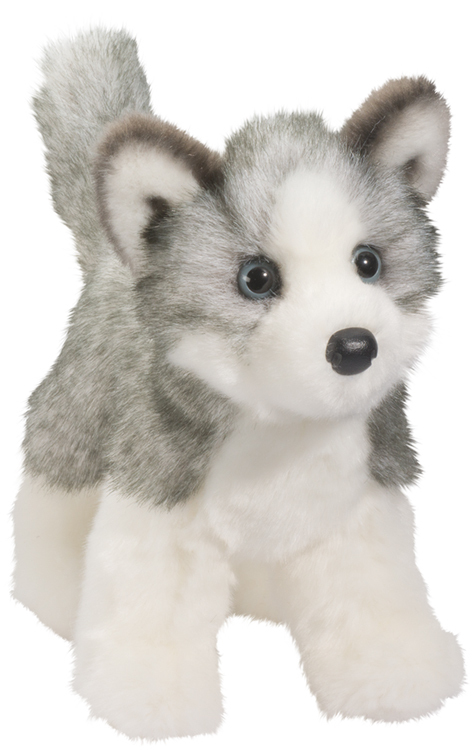 Expertly constructed from the softest plush, this husky is a great item for companies that need a breed-specific animal with detail that makes it instantly recognizable! With an imprint of your logo or company name, this dog is perfect for rescue organizations, police units, college mascots and much more! Add your logo with a printed accessory! Add an extra kick to your marketing plan with the help of this Spunky Hedgehog! 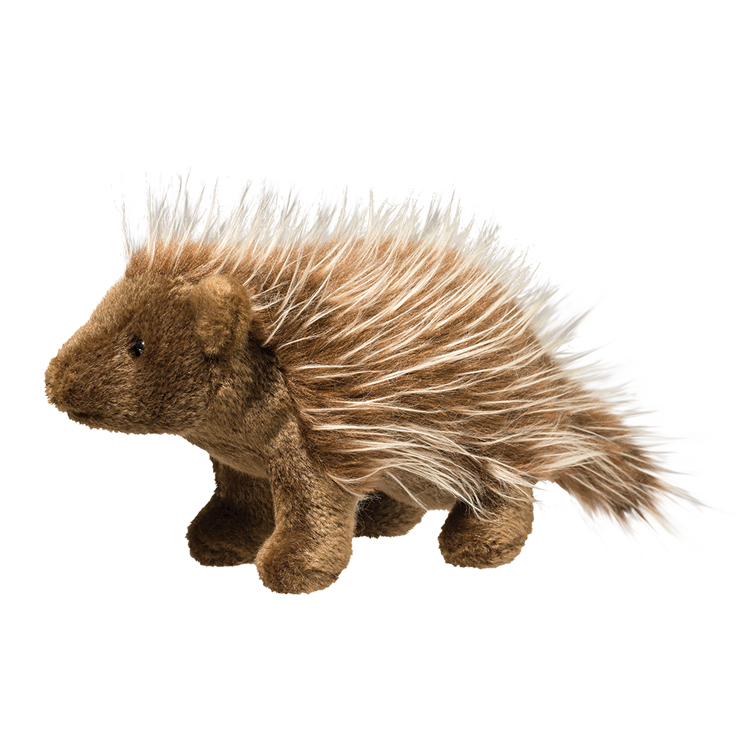 Ultra-soft and amazingly adorable, this little plush pygmy hedgehog turns heads and elicits oohh's and ahh's wherever he goes. 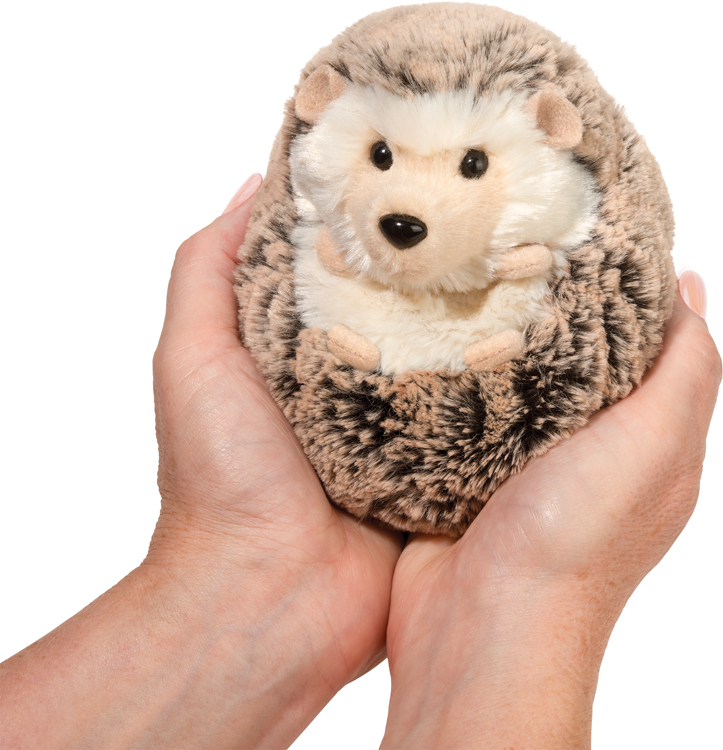 He fits perfectly in the palm of recipients' hands, so don't forget to add your logo before giving him away. Make a great impression with a promo tool that will keep your brand within reach! Add your logo with a printed accessory! 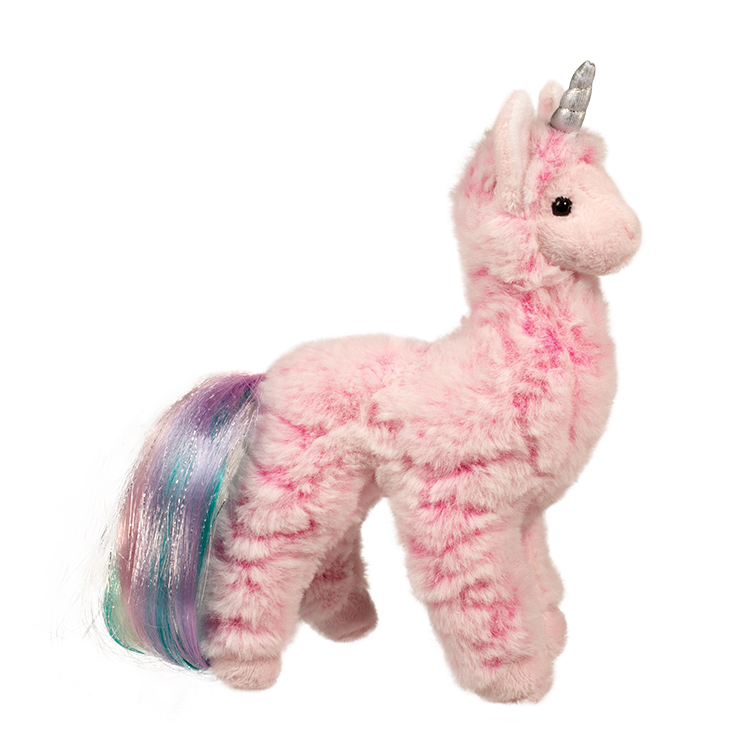 Spark the imagination of clients by giving them this stuffed horsel. 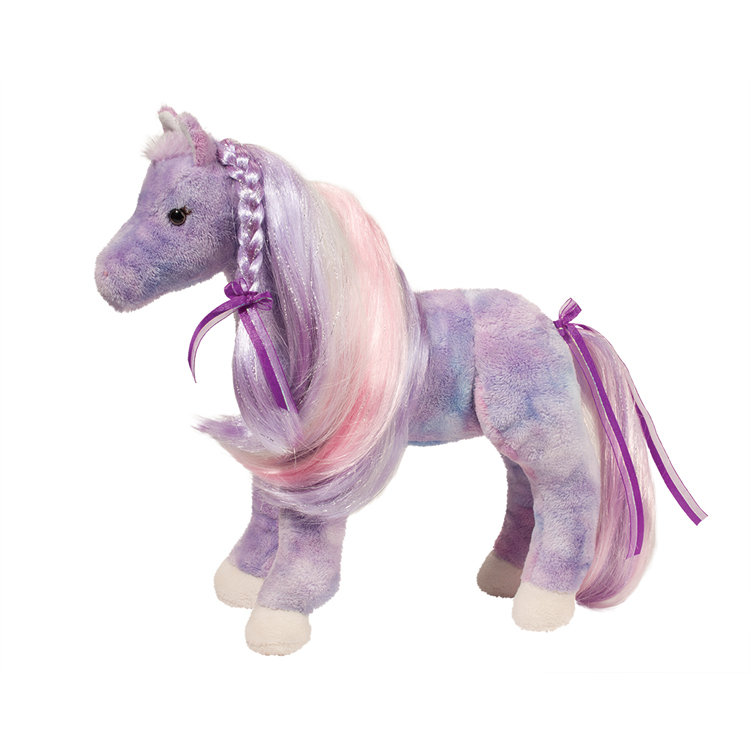 Violet the Princess Horse measures 12" and features purple and pink plush that is paired with a fanciful metallic shimmer brushable mane and tail. Adorned with ribbons and a pink brush for styling fun, this princess horse will help each recipient delve into the world of magic and play. 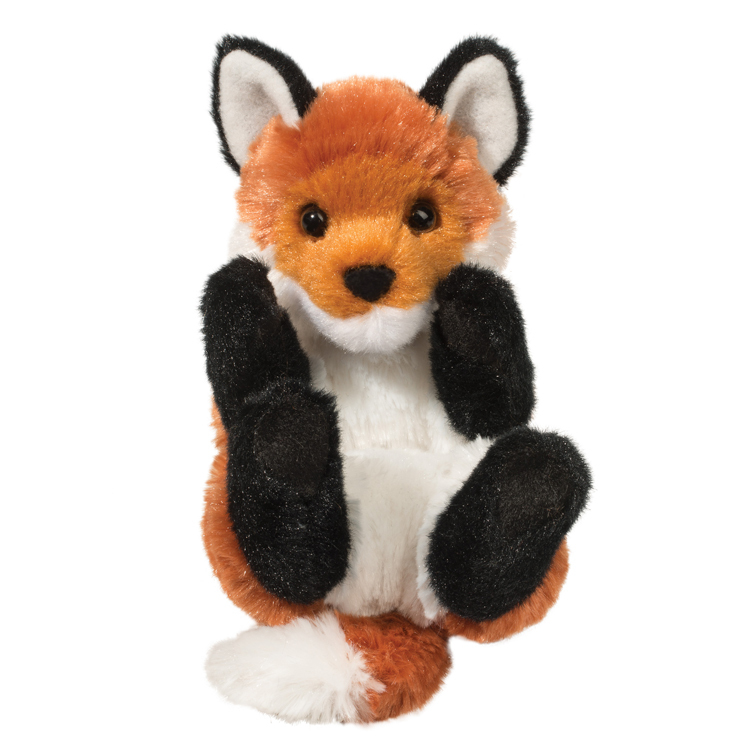 Customize it with a logo and promote at the next tradeshow or event that calls for a cuddly animal! Add your logo with a printed accessory! 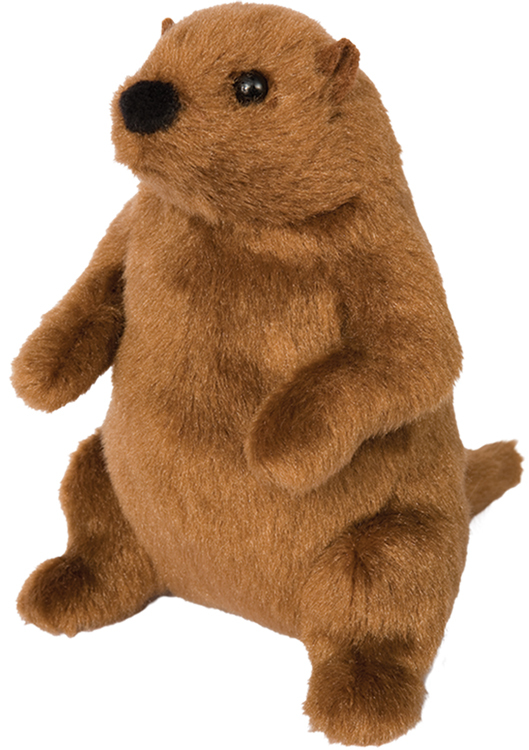 Don’t wait till February; get Mr. G Groundhog today! 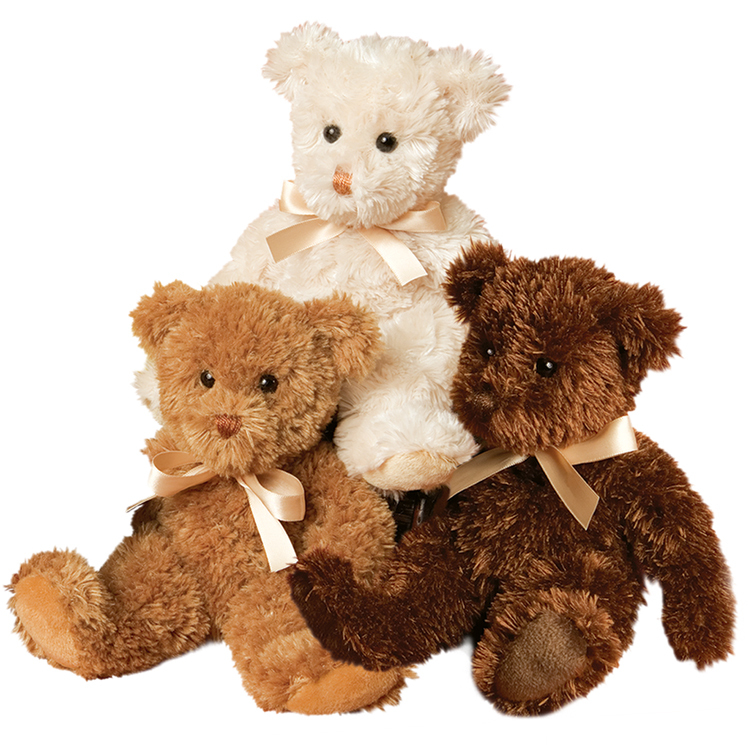 With the softest brown plush and little black nose, this stuffed animal is expertly crafted from the highest quality materials. The perfect pal for tradeshows, zoos, fundraisers, schools, and much more, this customized toy is sure to stand out from the crowd. Don’t forget to add an imprint of your logo or company name for maximum impact at your next event! Add your logo with a printed accessory! 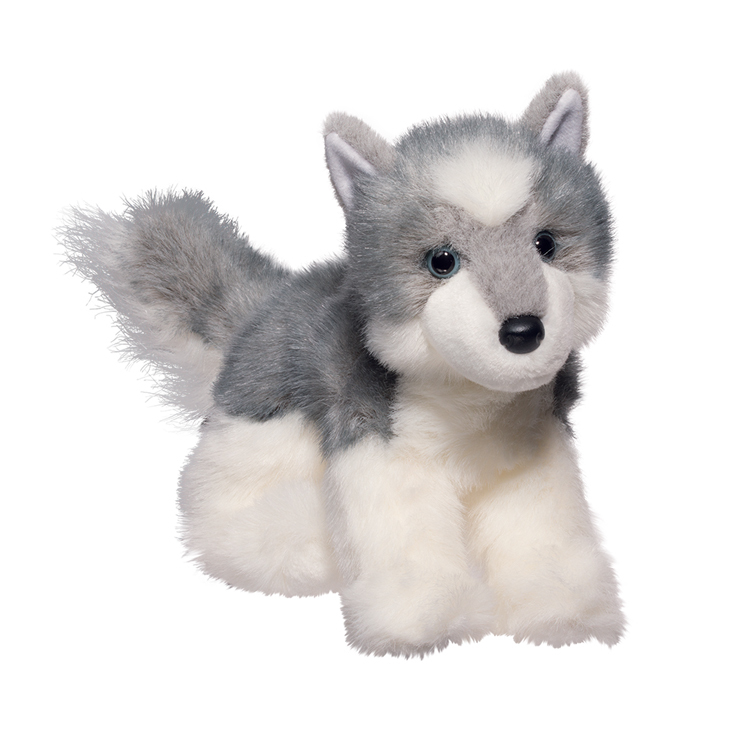 For a "dog-gone" good giveaway for the next promotional campaign, look no further than Blaze the stuffed Husky! Measuring 10" and featuring a gray and white color scheme, this adorable toy is made from ultra-soft and cuddly plush material and is an outstanding giveaway for shelters, vets and so much more. 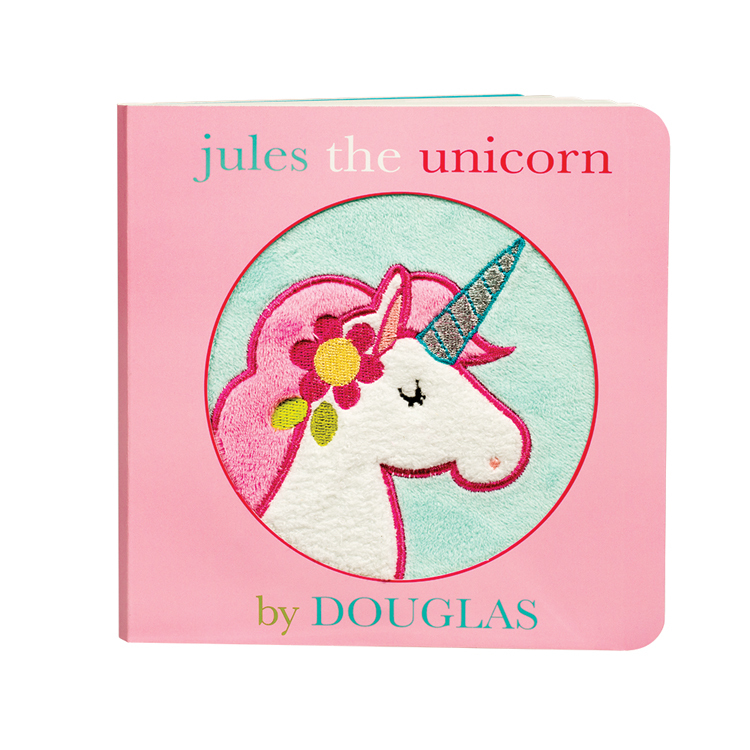 Customize with an imprint of your company logo and message for increased brand exposure on a cute gift for all ages! Add your logo with a printed accessory! 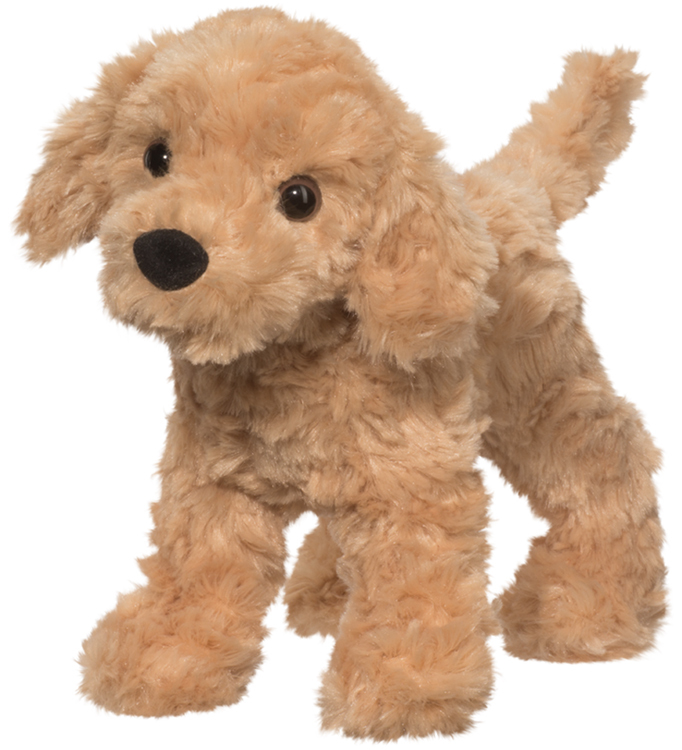 Make hearts melt in an instant with the help of this instantly recognizable plush dog! Shorty the Tri-Colored Corgi is adorable with its black, tan and white fur and makes a sweet addition to your marketing lineup. 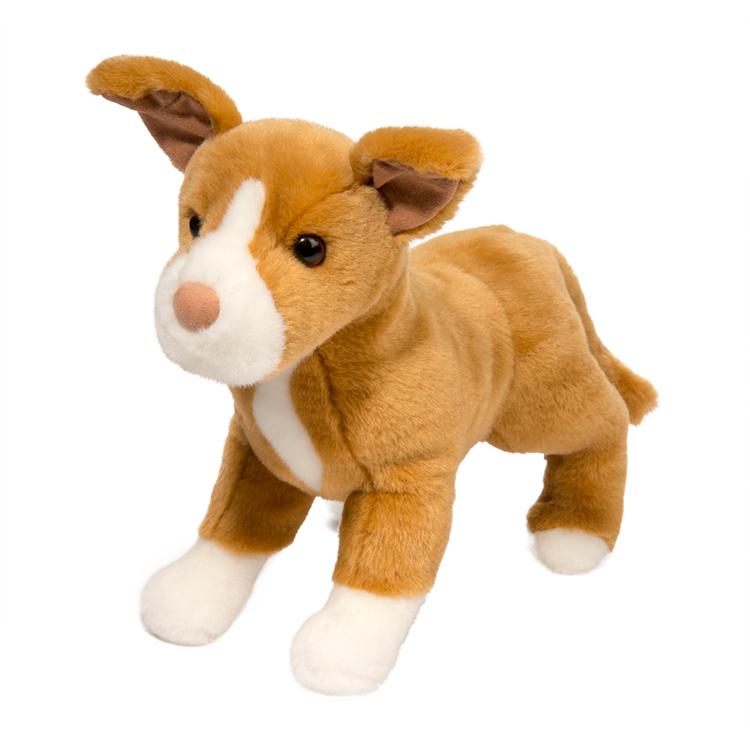 Measuring 8", this charming dog is expertly crafted from the highest quality plush materials and makes an excellent choice for your marketing needs. 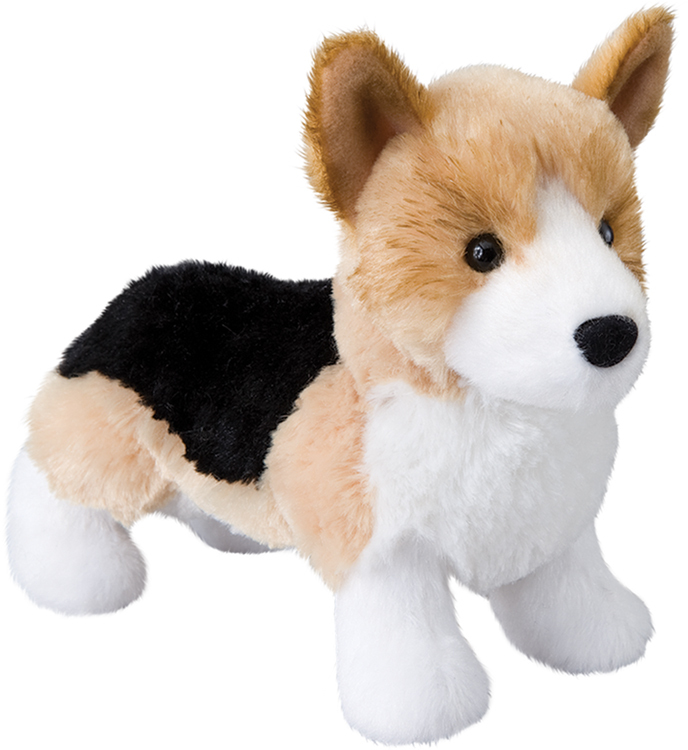 Choose this customized corgi to hand out at tradeshows, charity organizations, and more! Add your logo with a printed accessory! For a unique and fun promotional option, look no further than this Liam Llama! 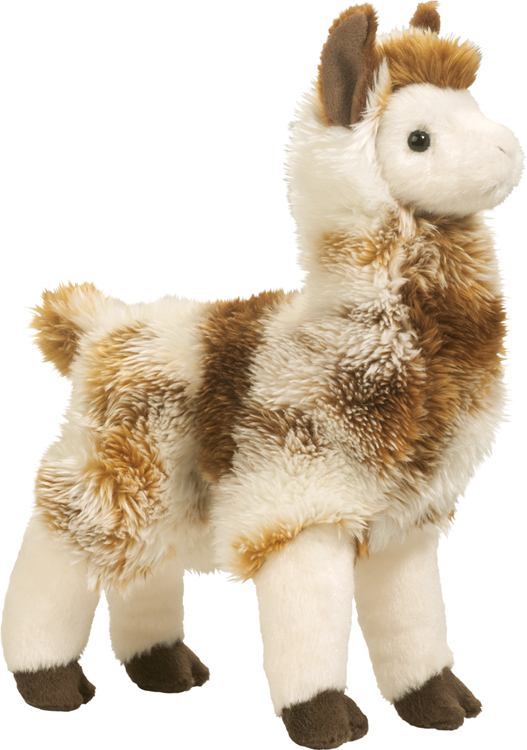 Amazingly realistic, this stuffed llama is super soft and cuddly. He's made from wonderful brown and white blended fur with plush white legs and tall llama ears. Little brown hooves complete the look, and he can be customized with your company's logo. Exceptional detail highlights the quality you expect while your customers get a cuddly piece of your brand to hang onto! Add your logo with a printed accessory! Both kids and adults will flip over this adorable stuffed dolphin! Benny the blue dolphins shimmers like the sea thanks for the soft blue plush that is sprinkled with silver sparkles. 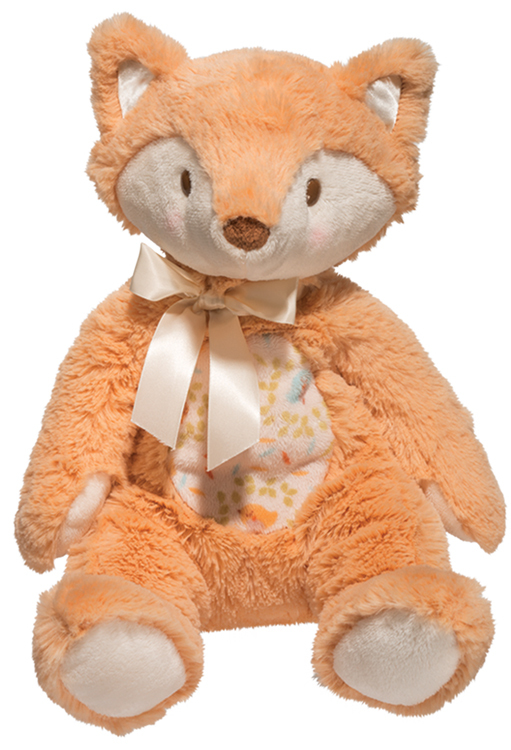 With a realistic design and attention to detail, this mammal is instantly recognizable. Imprinted with a company name or logo, it's great for corporate sponsorship, aquariums, hospitals, theme parks and much more. Order yours today and watch it become a fan favorite! Add your logo with a printed accessory! 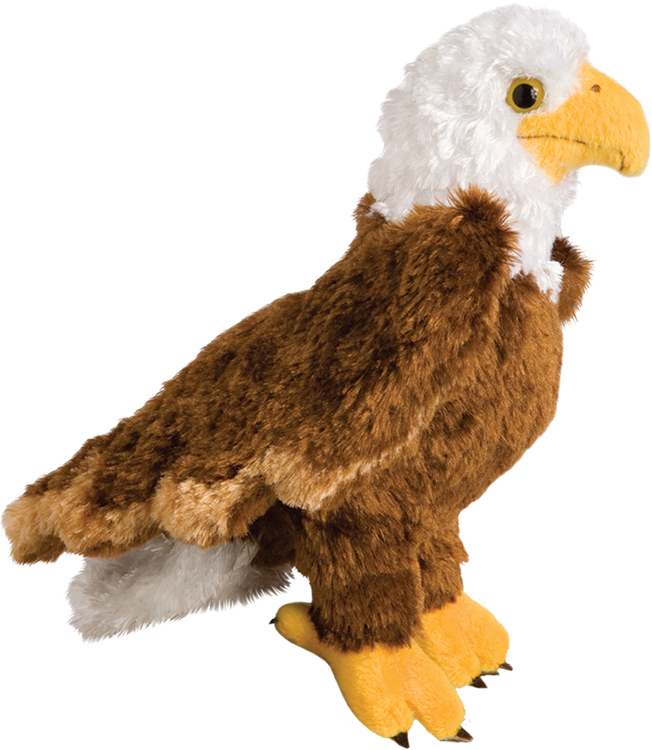 Soar high above your competition with Colbert the Eagle! 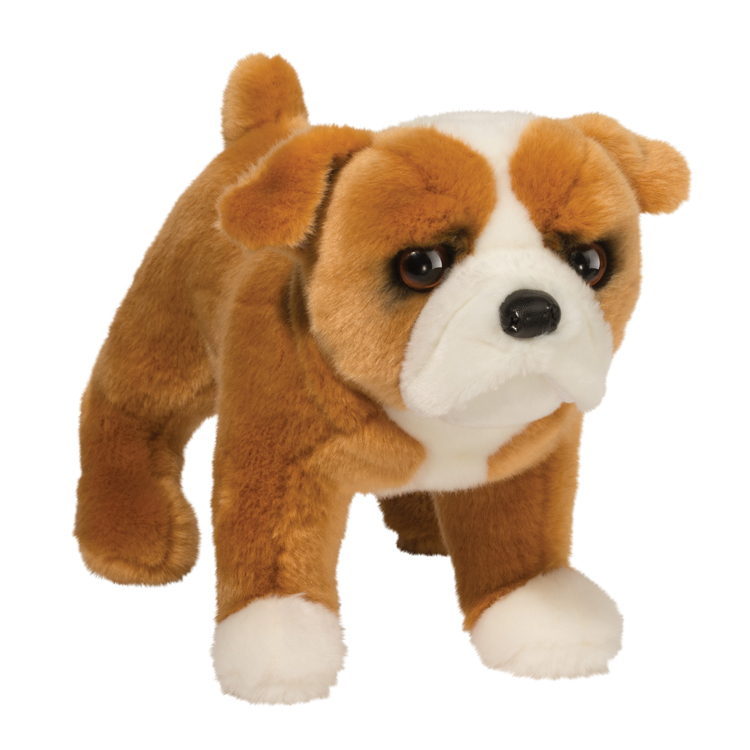 Beautifully designed with realistic coloring, this handsome stuffed toy features exceptional detail and luxurious materials. Measuring 8", this breed-specific bird is instantly recognizable and makes a great gift at zoos, schools, tradeshows and more. It's sure to win the hearts of recipients when you add your logo and hand it out at promotional events like tradeshows and conferences. Add your logo with a printed accessory! Start a parade toward success when you incorporate this Pink Elephant Plumpie in your next marketing campaign! 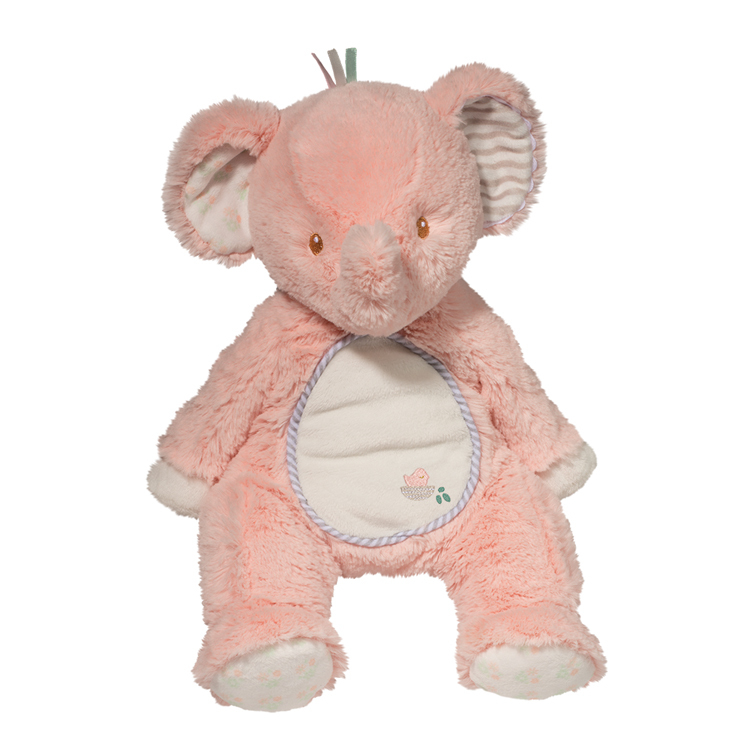 This sweet pink elephant is part of our baby collection. It features embroidered eyes and a charming bird detail on the tummy. 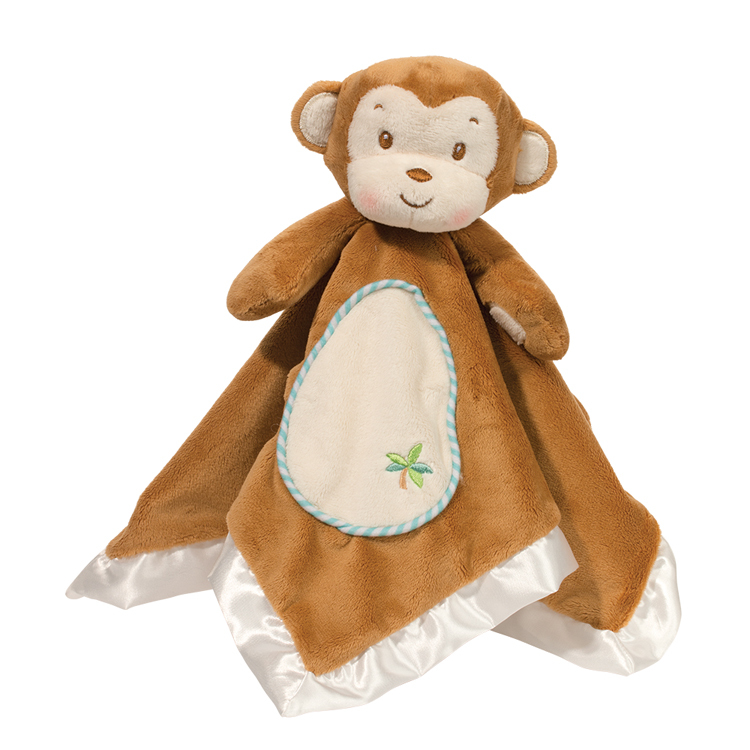 Ultra-soft plush and slightly understuffed, it has a slouchy, cuddly position that makes it perfect for all ages. Everyone will be sure to want a closer look at what your brand has to offer! Add your logo with a printed accessory! Don't get stuck with the same old advertising tools when you can add Percy Porcupine to your promotional lineup! Create a unique and amazing campaign that can be centered on this adorable item. The stuffed porcupine is super realistic without the sharp quills. Ultra-soft with an endearing face, it can be customized with your logo before you hand it out at your next marketing event. This is a great way to promote your zoo, conservation effort, and more! Add your logo with a printed accessory! Make sure your message is heard with this Rambler Coyote! 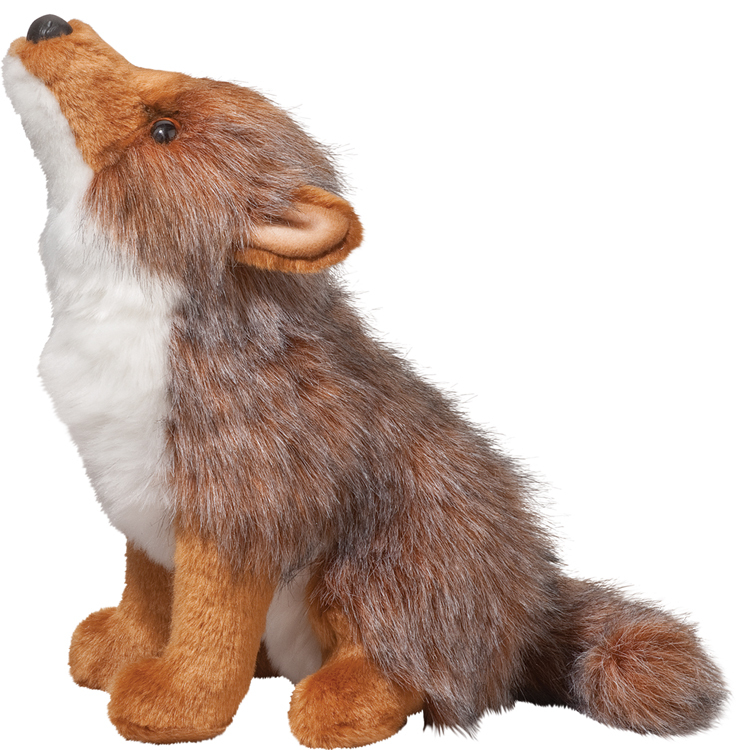 This stuffed animal has very realistic features including multi-colored grey and brown coloring and a sitting "howling" position. Made from the highest quality plush material, this soft and cuddly companion makes a great item for colleges, movie studios, charity organizations and much more. With an imprint of your logo, this breed-specific animal makes it instantly recognizable at your next event! Add your logo with a printed accessory! Take the plunge and swim with Smiley the Shark! 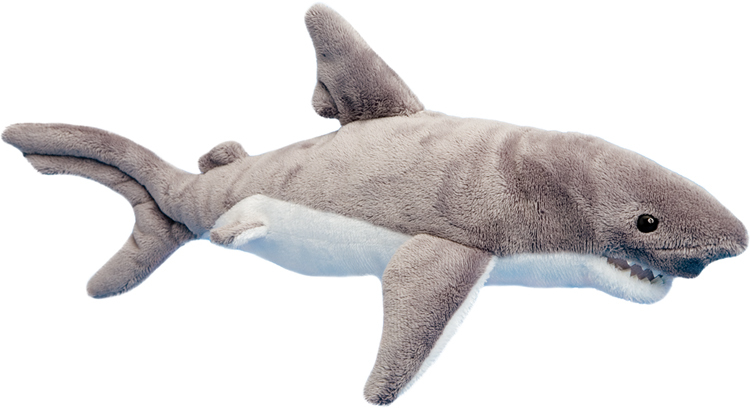 This beautiful and incredibly realistic shark is made from sleek, soft gray plush material and features a white underbelly, open mouth and tiny, pointy teeth. This mighty fish will make a great addition to your marketing lineup. Make sure to add your logo before handing it out so that they can cuddle up with your branding information at any time! Add your logo with a printed accessory! Claw your way to top of the food chain with the exceptionally cute Buster Blue Crab. 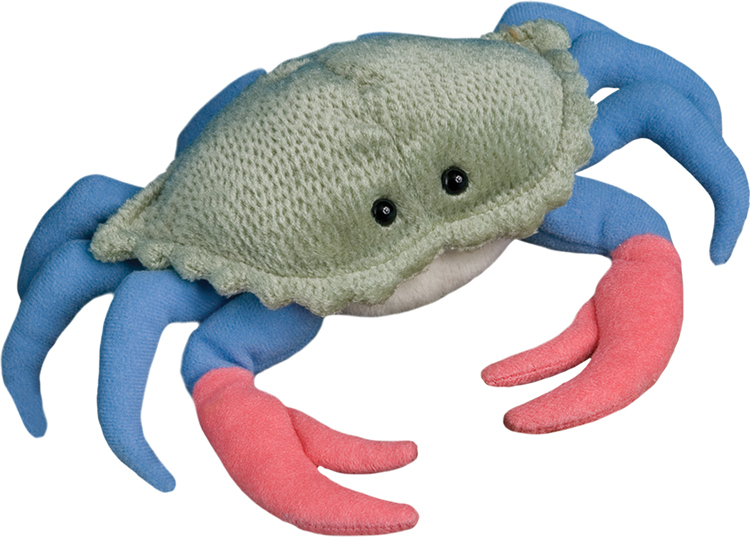 The Chesapeake blue crab is the Maryland State crustacean, and this plush toy is a charmingly realistic version. Measuring 9", features include a textured gray/green shell, blue legs and pale red claws that are all made from the softest plush. 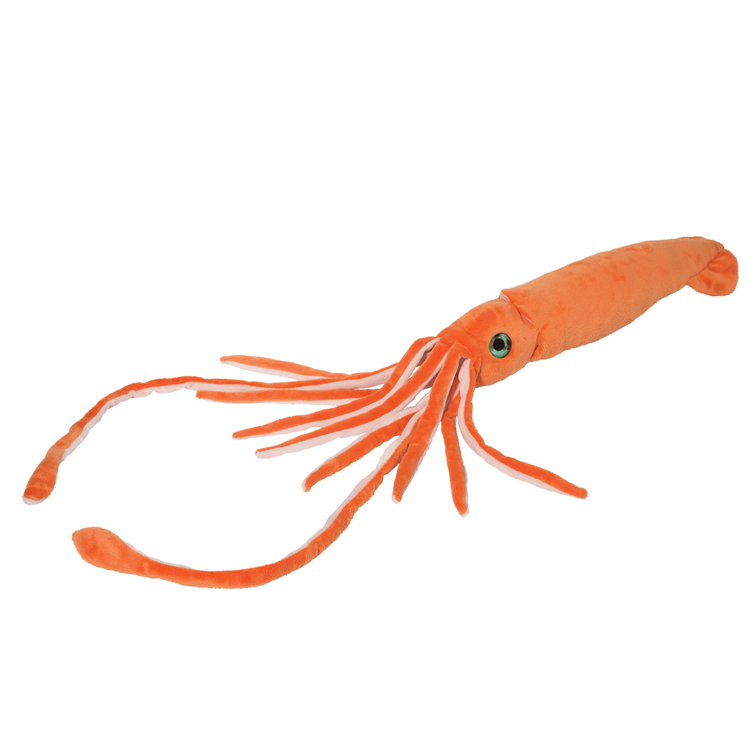 This crab is perfect for aquariums, fundraisers, corporate events and much more. Make a splash by adding an imprint of your logo! Add your logo with a printed accessory! Chances are you know a doggie who looks like just this one! Now's your opportunity to rescue Reese, a yellow lab-pit bull mix stuffed animal! Measuring 17", this dog features a red ribbon collar and exceptional details. This is a great item for promoting adoption centers, rescue dog organizations, groomers and much more. Customize it with an imprint of your logo or company name and you'll make a lasting impression! Add your logo with a printed accessory! 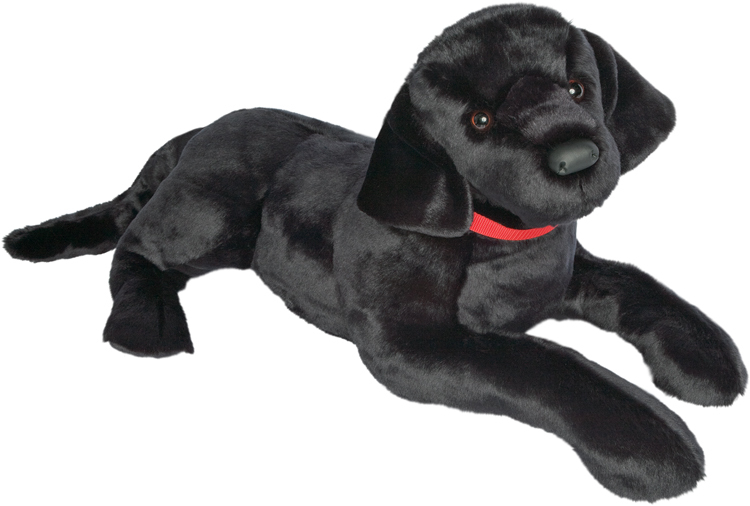 An oversized stuffed animal that is perfect for cuddling, Dickens the black lab is bound to make a lasting impression! 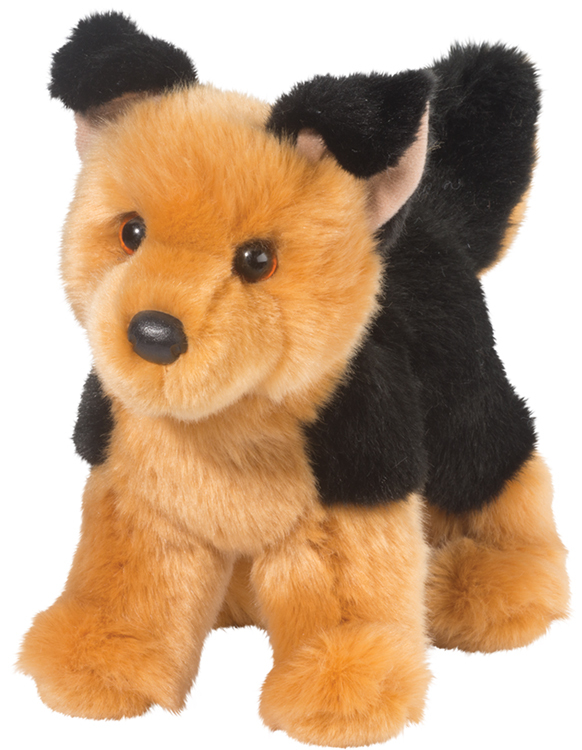 Measuring 32" with a soft black coat and a red woven collar, this adorable toy puppy is crafted with breed-specific detail with high-quality, soft plush material. Customize with an imprint of your brand logo for maximum corporate exposure on a precious pooch! Add your logo with a printed accessory! 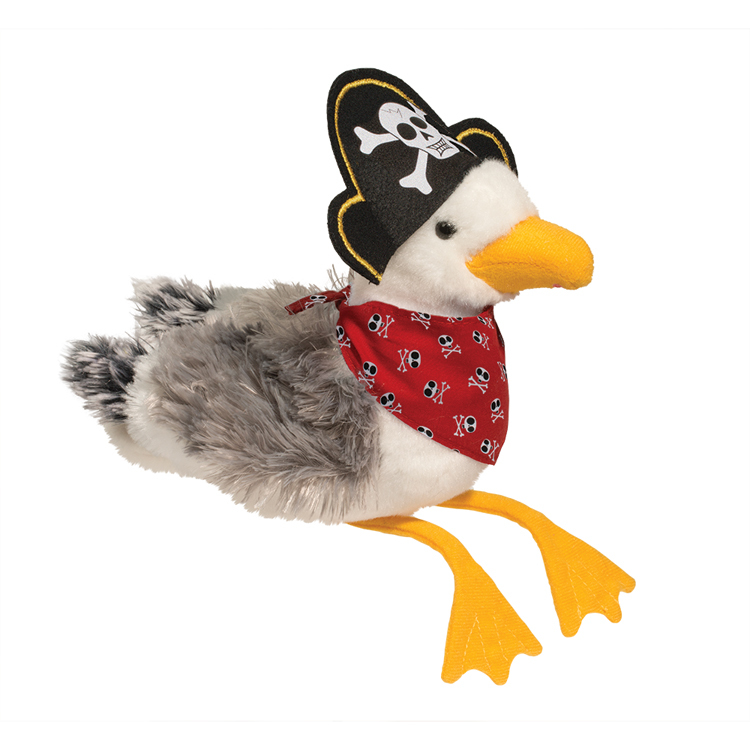 Make a big fuss about your brand when you promote your business with Scully the Pirate Seagull. You're sure to steal the spotlight from competitors easily with his serious style that includes our a whimsical red bandana, and a dapper felt pirate hat with yellow thread detail and skull and crossbones. Whether he's pirating for your French fries or on the hunt for more attention, he's sure to draw attention for your company! Nature Paw Stuffed Animal- Big Paw Honey Bear. They have belly buttons!! NO MINIMUM ! Stock items with logo over 300 to choose from no minimum. We specialize in Custom plush toys . We comply with safety regulations and we carry product liability insurance. We have our own design team that creates custom designs.